Based on the model of Sidewalk Sunday School in New York, developed by Metro World Child, using their teaching principles and material, we implemented six years ago a program to reach some of the most forgotten and needy places in our area, where the poverty level and unemployment rate are high. To the children from these places, who face extreme challenges in life at a young age, we bring the gospel message of hope in an attractive and fun-filled way, through songs, games and visual aids. We encourage them to look beyond their circumstances and to dream big. Every family receives a weekly home visit from one of our staff. This enables us to build relationships within the community and to identify specific needs which the family is struggling with. The program involves also a group of young people who are working voluntarily under the leadership and supervision of the local staff. Sidewalk Sunday School is held weekly in three different locations in and around Sighisoara: Goldberich neighbourhood, Danes and Hoghilag. Ocasionally, we run special projects like this for other places near Sighișoara, as Albești and Vânători. 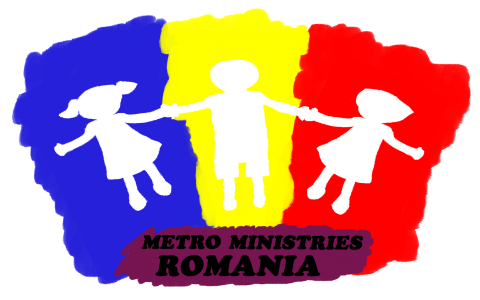 In addition we support with teaching material the programs in Gornesti village and Valea Rece Roma district of Tg Mures; projects organised by a local Hungarian Baptist church. We partner with different local churches in order to connect the children and the families from the villages to the Christian community. Hi my name is Evangelist Francis Nnorom.I am so happy with what I see you doing for the gospel sake.I also function in the help ministry. I wish to be partner with you.Eph 2:10 says we are God’s workmanship, created in Christ Jesus to do good works.Thanks and God bless your efforts.